California’s Proposition 13 is bad policy, and here are some graphs to show you why. Did Mom and Dad make it harder for you to buy a house? This week’s insane California housing anecdote comes from David Garczynski, who writes in Salon of the time he shared an overstuffed San Francisco Airbnb with a Pinterest coder who had been living in a windowless closet for 16 months—500 days of slummer, if you will. Is it true? Christ, I hope not. But also, who cares? It’s plausible. The kids are all … in rental housing. Of course, California already has a handful of state laws that influence local land use, among them Proposition 13, the 1978 ballot measure that capped the state’s property taxes and unleashed some very unfortunate effects for the young and the poor. On Monday, the California Legislative Analyst’s Office released a delightfully graphical report that shows how Prop 13 has shaped life in California over the past 40 years, helping to enrich one generation in homeownership and impoverish the next in overpriced rental housing. That amounts to a giant, rent-control-size subsidy to Californians who bought their homes a long time ago. 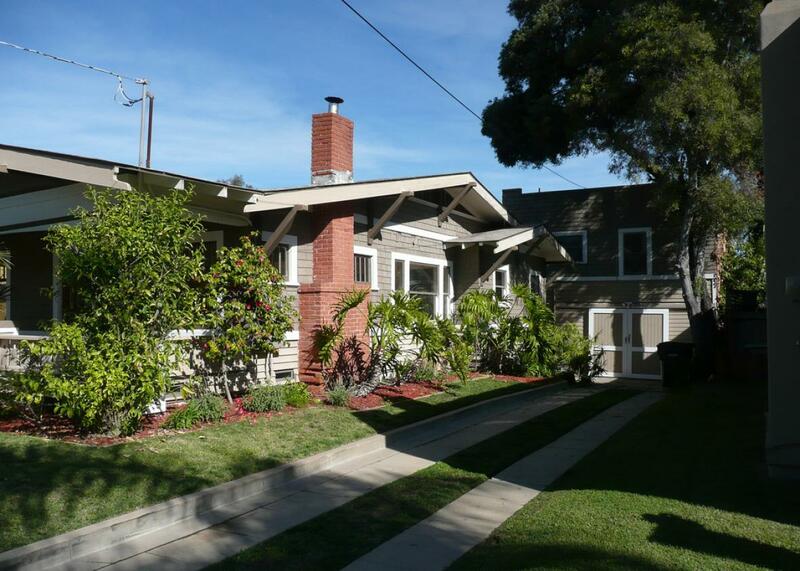 (It’s particularly sweet for Californians with big, expensive houses. Tax relief from Prop 13 aligns almost perfectly with household income.) It’s one reason why the proportion of the state’s properties that change hands each year fell from 16 percent in 1977 to less than 6 in 2014. It’s a seller’s market. More anecdotally, longtime homeowners are among the most stringent opponents of new housing. They’re the ones lining up behind L.A.’s Neighborhood Integrity Initiative. Obviously, Prop 13 changed the way cities raise money. Property tax went from 90 percent of local revenue in the ‘70s to less than two-thirds today. What took its place? Hotel taxes, utility taxes, and new fees. Mostly, the highly regressive sales tax. Still, Prop 13 contributes to California’s housing shortage in other ways. It seems to play a role in encouraging land-banking: It’s very cheap to keep long-held land vacant, even if it has become extremely valuable. (Of course, another reason for this is that new buyers are more likely to have plans for vacant land.) That’s ironic; since one argument against property taxes is that they discourage people from improving their land. More importantly, California cities have begun to use a host of fees on new development—like impact fees, parcel taxes, and special assessments—to compensate for forgone property tax revenue. These produce tens of thousands of dollars in new revenue per building permit, a cost that gets passed on to new buyers. 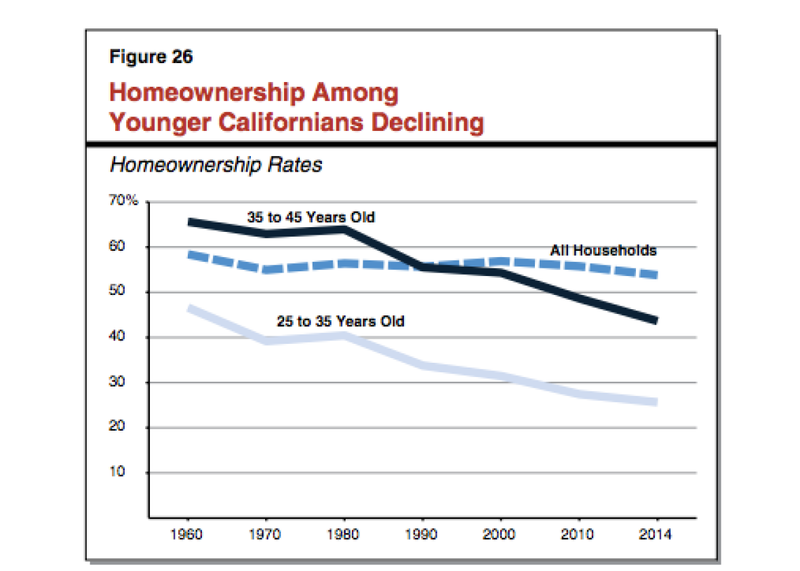 Sorry, young Californians: Your parents screwed you.